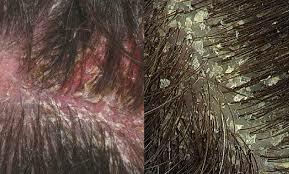 Dandruff- is a chronic condition that is marked by skin flaking on scalp & itching. 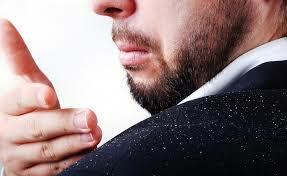 Itchiness due to dandruff often causes irritability and embarrassment. Dandruff does make your scalp itchy and flaky. "Sometimes the flaking and itching that appears like dandruff is actually a medical condition, such as seborrheic dermatitis, psoriasis, fungal infections of the scalp, or eczema." Not directly, but the itching and scratching will cause weakening of hair roots and lead to mechanical loss of hair. Hair and Scalp needs thorough examination through trichoscopy and other necessary tests and the root cause of dandruff should be diagnosed and treated accordingly. It is often achieved by frequent hair washing with normal shampoo (without any active ingredients). The effect is due to the surfactants in the shampoo but is usually only transient. Causal treatment: Reduction of Malassezia, Reduction of scalp inflammation and Reduction of skin cells proliferation. anti- fungal-The most frequent antifungal agents are tea tree oil, piroctone olamine, zinc pyrithione, selenium disulphide, terbafine, and ketoconazole. All are active against yeast and reduce inflammation of the scalp. Prevention of Relapse is important by regular use of antifungal shampoos ,avoidance of provocative factors and proper nutritious food intake or taking hair supplements.